Certain parts have been amended from the original post. Hi, I’m Ken and don’t be misled by the title, I’m actually not that funny. Let’s be honest, I’m nowhere close to being a comedian in real life. 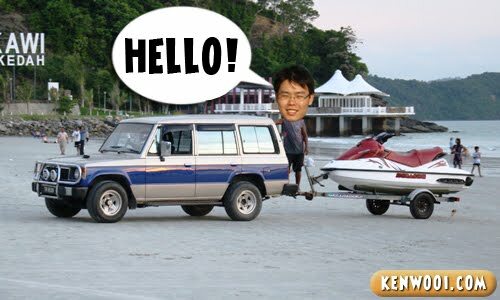 If you’ve met me (and I wasn’t on funny mode), you’ll get the impression that I’m different from the blogger I portray on kenwooi.com. But that’s not the point. This article is about “Funny Blogging”. Well, you see, many people say my blogging style is witty and humourous. 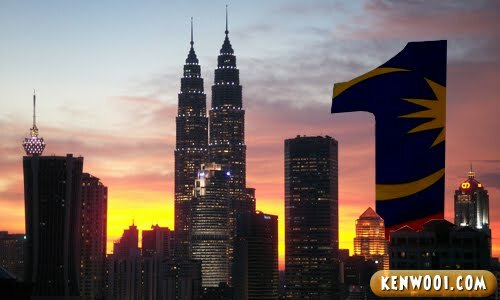 Even blogger Si Aki rated kenwooi.com as number ONE (wow!) in his “Blog Paling Lawak di dalam Dunia si Aki” (translation: Funniest Blog in Si Aki’s World) list. 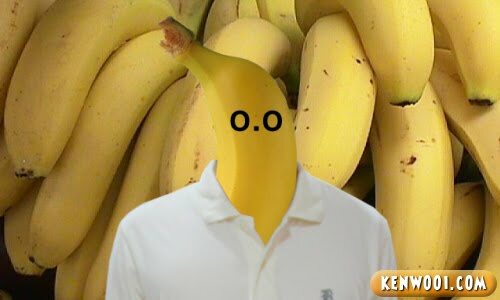 Did the Banana-fied me inspired him? Oh, did you laugh? No, I guess not. Anyway, before I started blogging, I would’ve LMAO if you tell me that I’ll be writing funny stuff on the Internet one day. When I was 18, I didn’t even know what blogging is. I may not be the top funny blogger in town, but here I am now… occasionally writing about my random thoughts, food and places, parodies on Malaysia Boleh stories, silly things and ultimately – humour. Blogging couldn’t have been more interesting. Well recently, Mr. QuaChee invited me to do a guest post on his blog. He asked, “Tell me, how do you come out with funny posts?”. Actually I felt like it was a school essay homework. A seemingly normal activity/thing can be funny, if you want it to be. Whenever I see something typically out-of-the-ordinary, my mind would somehow derail. 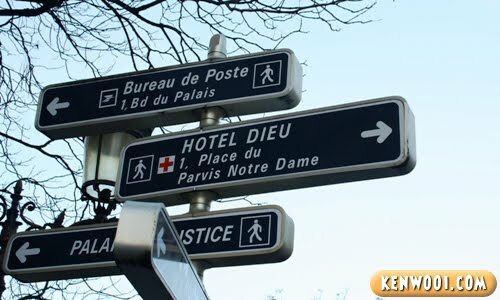 Click here to read the French joke. I’m sure in each and everyone of us, there is a sense of humour. We all laugh and giggle, we know what “funny” is. Anyway, I believe that things could be funny if you think funny. But I don’t normally think funny in everything (or else I’d be confirmed mentally crazy) but there are certain features that trigger it. 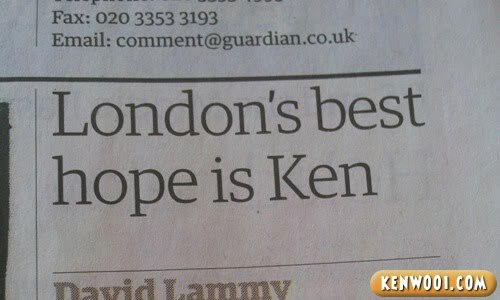 It’s an ordinary news – London’s best hope is Ken. Yes, that’s obviously not me but I love putting myself under the limelight. 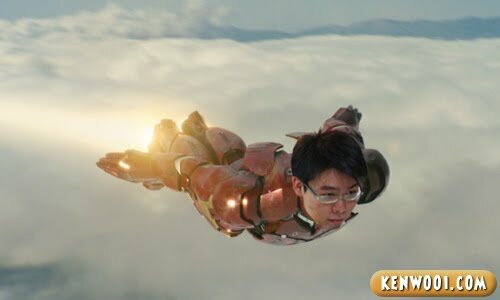 I’m actually Iron Man, you know? 3) Be unpredictable and random. I don’t echo what it’s in the news. Random ideas are actually fun to write about. If you’re asking what random stuff, try coming up with “How to…” or “10 Things…” posts. Of course, don’t write “How to Clean a Ceiling Fan” and embed a Youtube video. That’s effortless and pointless. What I would do is… to get myself dirty with the fan, take photos while cleaning (an act) it and come up with some not-so-practical yet funny methods. 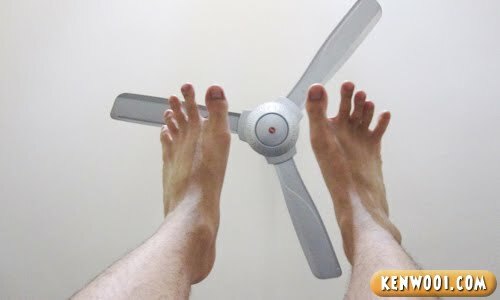 After all, you don’t expect to read a serious guide on cleaning a fan on kenwooi.com, do you? Some good examples would be the recent 10 Reasons Why I Dislike Clubbing and How to be Cool with Words for Noobies. 4) Don’t hate. Instead, love. Being in Bolehland, you won’t miss interesting stories and news. Certain top funny posts are largely contributed by local parodies. The thing is… using a different approach is the key. Instead of joining the majority in bashing up the gomen for unnecessary policies and projects, I prefer to ‘help’ by providing insight updates. 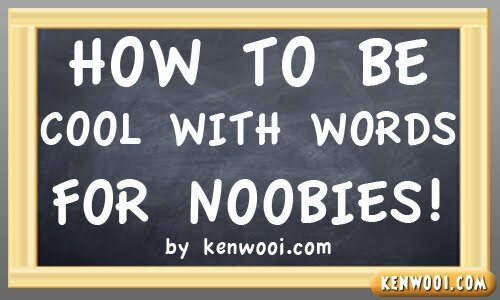 Yes, it’s fake – but with all the existing bashing news by almost every website, who needs another one written on kenwooi.com? 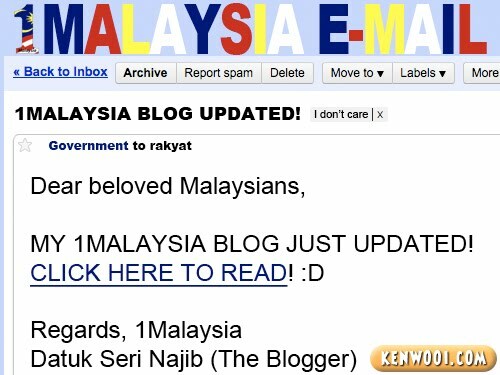 Do you like the latest innovative 1Malaysia E-mail Project by the Malaysian government? I personally loved it! 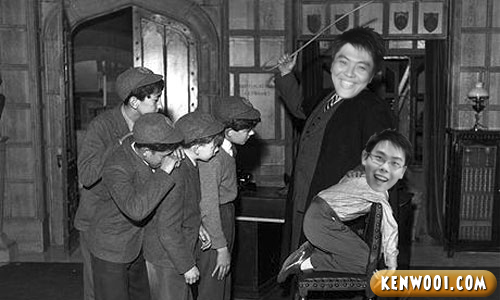 An avid kenwooi.com reader would know that I do photo manipulation – with Photoshop. To me, photos are an attention-grabber and they’re probably the best method to present something funny. I created my own 1Malaysia Warisan Merdeka Tower with Photoshop. Awesome or not? Like so real right? I’m also a Mat Rempit. 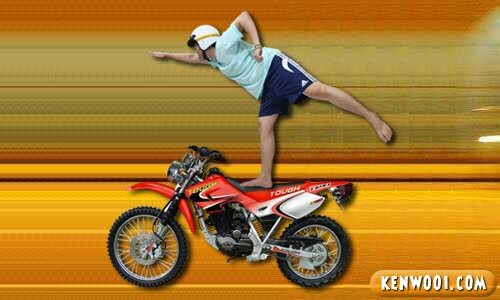 So awesome my stunt! 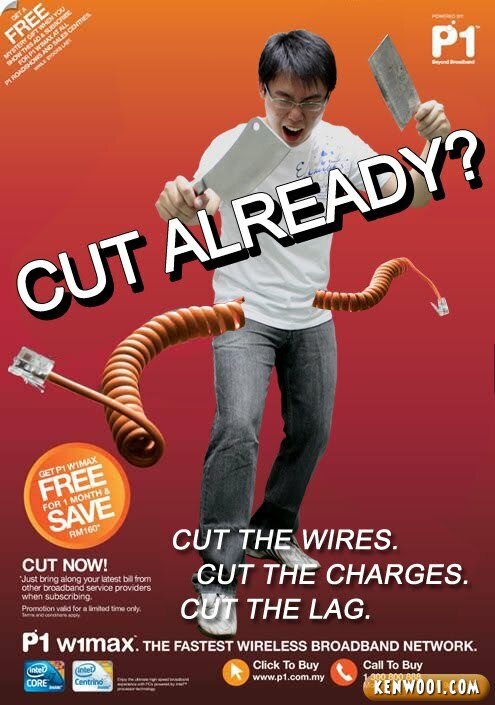 I was a cover boy for P1 Wimax’s infamous “Potong” advertisement poster in Malaysia, A Potong Country. Other than that, simple speech bubbles with captions will do. In a non-existing survey, chances of people reading from a photo is higher than wordy paragraphs. I really enjoy the stuff you post up. I guess I can relate with the being random and funny parts. and i’m only just starting to use photoshop. Nice post. Wah! Teacher Quachee’s into that SM stuff kah… Eeeeeee!!!! LOL!!! Funny to the max. You’re really one truly amazing blogger. 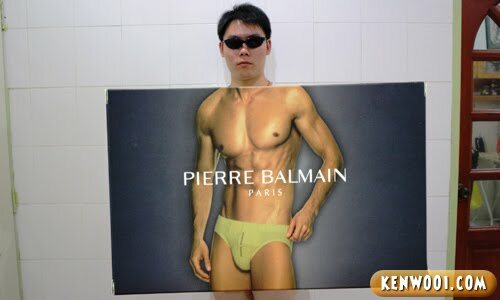 ahahahah~ I love your photoshopped photos! it’s always so funny. Great one again!! BTW.. I love the Iron Man pic! You are definitely humorous!!! with good photoshop skills too! It must take you sometime cropping your head and putting it back in another photo. Unfortunately for me, I don’t have that patience. I love reading ur blog when I have no mood to work, make me laugh laugh laugh the have good mood back ,haha!! !